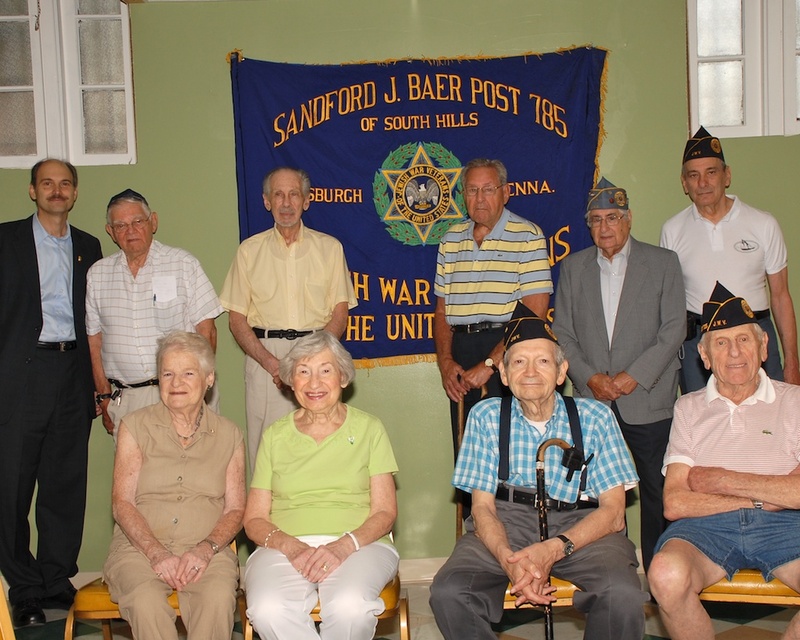 On Sunday, a small group of Jewish military veterans gathered in our Social Hall for meeting and eating. 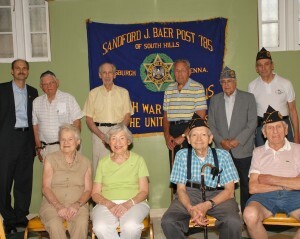 They are members of Post #785, The Sandford Baer Post of the South Hills. The guest speaker was Clarence “Code” Gomberg of Post #499. Code (pronounced Cody) is active in state and national JWV affairs and gave an update. 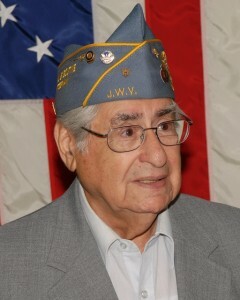 “As with all veterans groups, our numbers get smaller each year because most of the members are WWII vets. In recent years, the American Legion closed 12 posts in Allegheny County. While the JWV is obviously much smaller than the Legion and VFW, it is important that we maintain the 5 posts we have in Allegheny County without further closures and mergers. We must find a way to connect with Jewish veterans when they separate from the service. When I came out of the service after WWII, I was directed to a JWV officer to find out what help or services I could receive. That doesn’t happen now and we need to change that. Also, we need to find a way to bring in our Vietnam era and Gulf War era veterans, although there simply aren’t that many of them”. See also this story on WQED about Code.